My long awaited 3rd solo album BLIPTASTIC! is here! BLIPTASTIC! is the long awaited 3rd solo album by ComputeHer! With a larger arsenal of vintage computers and classic video game consoles at her disposal than ever before, this electro chip dance album never waivers from achieving it’s promise: a truly BLIPTASTIC audio experience! Track instrumentation: Only the listed devices were used in each song. The original version of Sugar Cube is available on the “Modemoiselle” album. 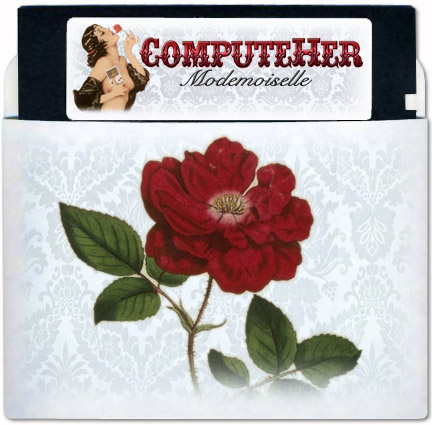 ComputeHer is the solo project of Michelle Sternberger. Michelle creates electronic music using retro gaming consoles, 8-bit computers and synthesizers. With hard beats and colorful melodies, ComputeHer’s spirited catalog of music depicts a world of energized lo-fi bliss. In addition to her studio albums, Michelle’s past projects include work for Mark Mothersbaugh of Devo, Foundation 9 Entertainment, Sony Creative Software, Smithsonian American Art museum and many others. She divides her time up between two bands and is also a member of 8 Bit Weapon. My new single “Software” has been released! “Software” is the first single off of ComputeHer’s album, “The SIDuction of ComputeHer”. This remix collection of the song “Software” features a historic amount of classic game consoles and vintage computers used as instruments. ComputeHer is the first chipmusic artist to recreate a song across 5 separate platforms: Commodore 64 computer, Nintendo Entertainment System console, Apple II computer, Atari 800xl computer, and Nintendo Game Boy handheld console. 1) Single Mix: Commodore 64, Nintendo Entertainment System, and Nintendo Game Boy for all synth sounds. The percussion sounds are from various vintage drum machines. 2) Analogue Mix: Korg Volka Keys for all synths and various vintage drum machines for percussion. 3) NES Mix: All sounds and drums are from the Nintendo Entertainment System. 4) A2 DMS Mix: All sounds and drums are from the Apple II home computer using the DMS Synth and Drummer software. 5) A800XL Mix: All sounds and drums are from the Atari 800 XL home computer. 6) GB Mix: All sounds and drums are from the Nintendo Game Boy. 7) C64 Mix: All sounds and drums are from the Commodore 64 home computer and utilizes the rare 6582 sound chip. 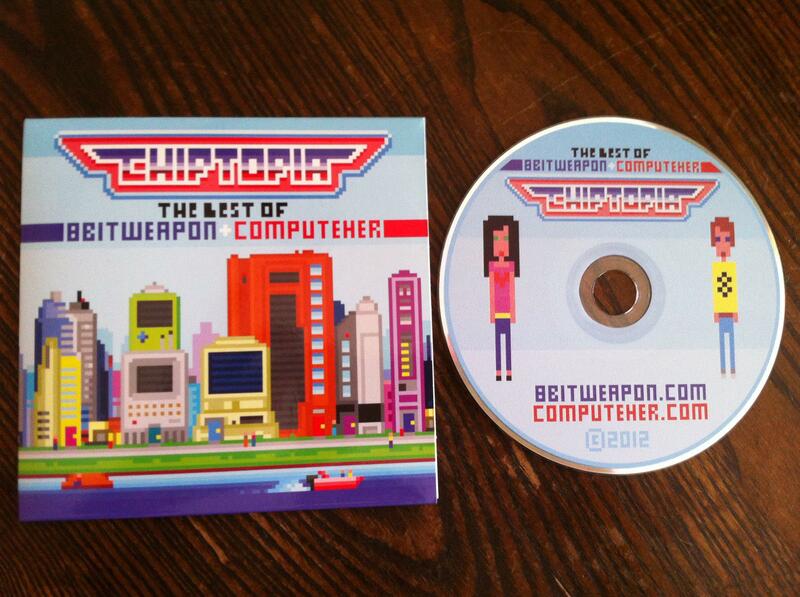 “Software” was written by ComputeHer and produced by 8 Bit Weapon. Welcome to the New Site ! To coincide with the release of my new album: Modemoiselle, I’ve completely updated the web site! Some new info has been added and some has been streamlined. I hope you like the new look! Modemoiselle is Now Available ! 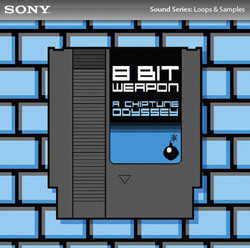 Coming Spring 2009 Sony Creative Software will be releasing our 8 Bit Loop Library called “8 Bit Weapon A Chiptune Odyssey” and a Special Digital Downloadable EP of new music! The library covers Apple II, Commodore 64, NES, Gameboy, and the Atari 2600. Each system library has everything from drums, bass and synth to special effects. 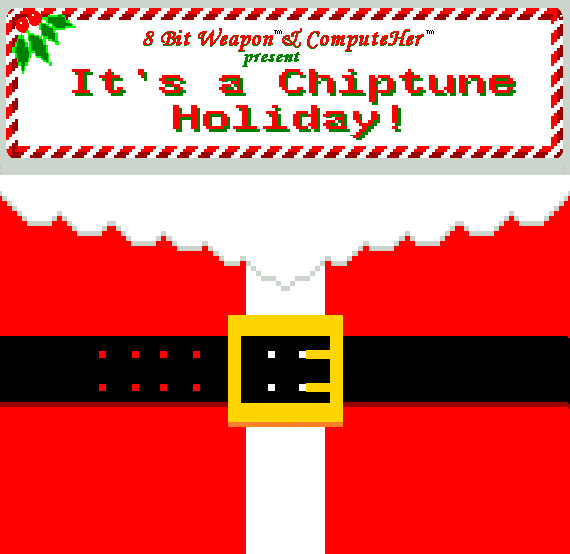 Both 8 Bit Weapon and ComputeHer have featured demos built into the collection. Stay tuned for more details.